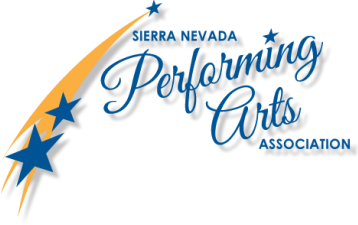 The Sierra Nevada Performing Arts Association (SNPAA) offers Scholarships to talented students pursuing a college or university degree, or equivalent, in the Performing Arts. To be eligible, the applicant must be in the last semester or have graduated from a high school in Northern Nevada. The intent of our Scholarships is to recognize hard work and to assist students with completion of higher education. To receive a Scholarship, a high school applicant must have been accepted to a 4 year college, university or equivalent. Students already at a college, university or equivalent may also apply for a SNPAA Scholarship provided they meet all other requirements. Scholarships awarded by the Board of Directors of SNPAA generally range from $500 - $1,500. Please be aware that any money awarded to a student by the SNPAA Board of Directors must be used within the subsequent academic year at the institution of the student’s choice. The money is sent directly to that institution to help defray the cost of tuition and/or books. The following information is optional, but will help us to better determine the financial status of each applicant. Some, but not all, SNPAA Scholarships are based on financial need. If the following information is not provided, applicants cannot be considered for a need-based Scholarship award by SNPAA’s Board of Directors. Students should seek assistance from parents to provide this information. How many chldren are in your family? How many children in your family are Dependents in college, university, or equivalent? ACT – If you have taken the ACT, please provide your score. SAT – If you have taken the SAT, please provide your score. Proofread all your work before mailing in documents or clicking the Submit button below. Hard copy supporting documents should be mailed, with a cover letter, to: Sierra Nevada Performing Arts Association, P.O Box 12092, Reno, NV 89510-2092 with our receipt by no later than June 1 to support your application. Incomplete applications will not be considered for the next academic year if you miss the deadline date. You will have to apply again for future academic years.